Hey y'all! 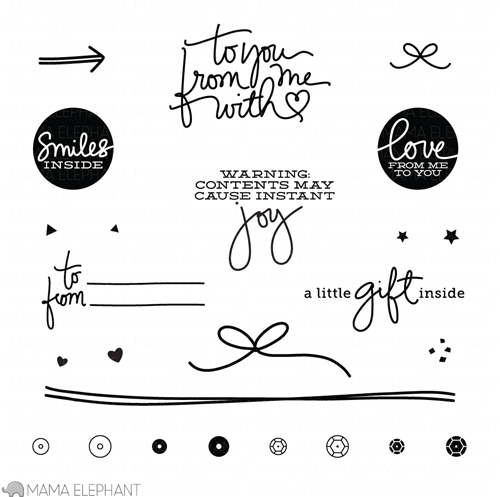 It's day 2 of the Mama Elephant November release highlights! 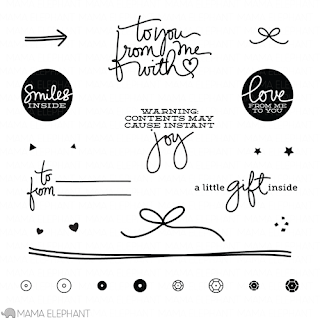 I know this one caught your eye last week on the Mama Elephant blog:) It's the new set, Confetti! This set has really jumped to the top of my list of favorite sets to use! Those sequin stamps are fun, fun, fun:) For my card, I wanted the look of a vellum packet filled will sequins being sprinkled all over my card. First I used the Embellished Tag die to cut a vellum tag. Then I traced the tag in pencil onto the card front. That way I was sure to get all my sequins "inside" the tag. 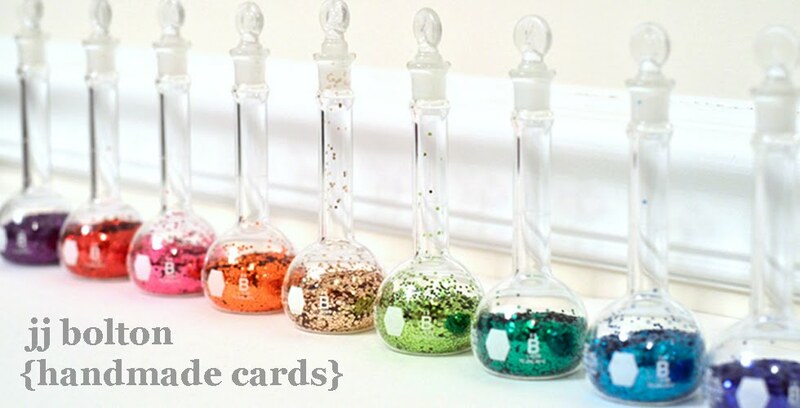 I stamped a plethora of sequins (masking some of them) and colored them with various cheery Copic colors. I decided to stitch the vellum to the card since there was no good way to disguise the adhesive. I just stitched around the stitch marks already on the tag! Thanks for checking in today! Go check out what the rest of the DT has done! This is such a fun design! I love the vellum tag and the sequins spilling out! Oh yeah!! Love this card!! Those colorful sequins are so fun!! And using the tag as a full envelope is just plaine creative and wonderful!! And the sentiment is so awesome!! No wonder this set is moving on up in your favorites list! Ha! Totally fabulous that sure does cause instant joy for me...mahalo! Oh, this is such a fun card, JJ! I love how you stitched the vellum tag and your stamped sequins are adorable! Love the sentiment, too! Whoa this is soo cool! I love it!! Esp the little vellum bag, Genius!! Such a fun card. The image and sentiment go perfectly together.